Not much to say today. 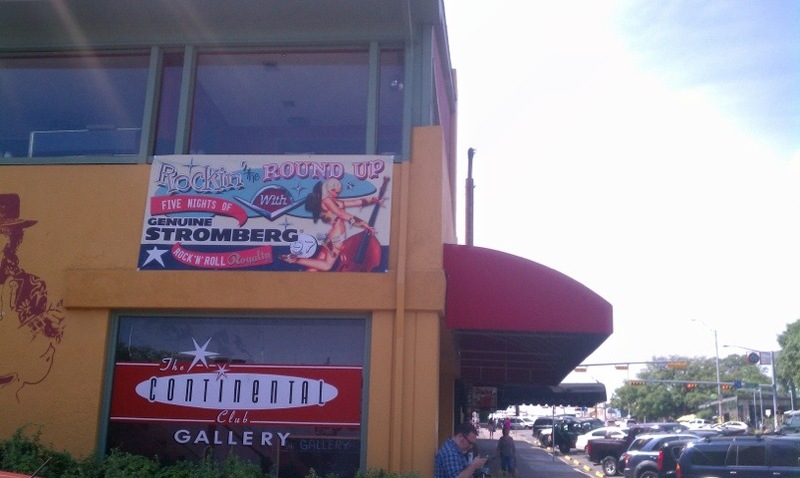 Just want an excuse to show everyone our monster banner on the corner of the Continental Club building in Austin Texas. You can see it half way down South Congress. We’re leaving on Tuesday, catching the flight from England to DFW, with a few hours drive to Austin. Yes, we’ll be Rockin’ the Round Up with five nights of Rock n Roll Royalty at the Continental Club. Big thanks to Steve Wertheimer and the CC crew for making it happen. Look out for more Round Up news soon.